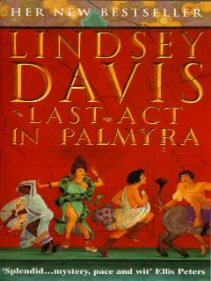 AD72, and Anacrites has ducked a fact-gathering mission for Vespasian, and sends Falco … whom he promptly betrays to a camel driver (Falco’s pseudonym for a nabataean chief minister) before he departs. Ah, this enmity between Anacrites and Falco. Will it ever end? The scene is Petra, Nabataea, an independent kingdom and trade centre which somewhat liberally taxes goods en route and so attractive to Roma as a trading partner and future annexure to the Empire. Falco and Helena Justina are on a fact gathering mission for Vespasian. Falco has other reasons – he is on the lookout for a missing water organist, one Sophrona. He’ll be paid if he finds his quarry.